Just a few dozen kilometers south-west of Brno you will find a hidden but welcoming region steeped in history that is well worth a visit. In particular lovers of engineering monuments, historical architecture come here as well as those who are enthralled by the beauty of romantic natural nooks and coves. 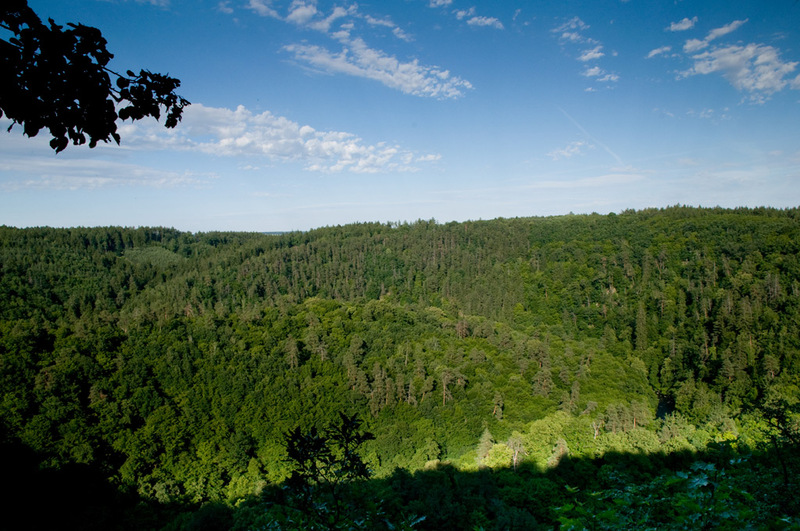 In short, the South West Brno region offers much more than simply Alfons Mucha’s famous Slav Epic on the Chateau in Moravský Krumlov. Those who enjoy seeking out architectural monuments on their travels will find, in a small region, a mosaic more colorful than an exhibition gallery including several architectural rarities. The Roman period is represented by the unique Church of St. Peter and Paul in Řeznovice as well as churches in Lukovany and Březník. Gems of Gothic architecture include the cloister ruins Rosa Coeli in Dolní Kounice directly below the Baroque chateau, which is well worth a visit just like the chateaus in Rosice, Oslavany, Náměšt nad Oslavou or Moravský Krumlov, most of which are remodeled from the original castles. However, such an auspicious future did not await many other castles and today they hulk as romantic remains of walls on hard to reach rocky cliffs overlooking the carved out valleys of the rivers Chvojnice, Oslava, Jihlava or Rokytná. Lovers of modern industrial history won’t be able to tear themselves away from the exhibitions of industrial railways in Zbýšov or the Mining Museum in the chateau in Oslavany. Admirers of modern industrial advancements and electrical power shouldn’t miss the opportunity to tour the visitors’ center of the hydro-plant Dalešice built directly into the wall of the Dalešice Dam. Even sublimation specialists will find in the diversity of the region such specialties as an open-air Bee-keeping Museum in Rosice or the hall of fame of the painter Alfons Mucha in his home town of Ivančiče. However, you will find Mucha’s monumental canvases, the Slav Epic, in the chateau in Moravský Krumlov. The final cultural highpoint of the region could be a half liter of excellent beer in the brewery restaurant of the Oslavany Chateau micro brewery. In the beautiful forests and rolling country-side, today there are few signs of the mining of the previous century. Only the two mining towers of the Simson and Jindřich II mines recall the faded glory of the mining history and create interesting and photogenic dominating features in the landscape. Here, between Rosice and Oslavany our smallest black coal mining district unfolds with the deepest mine shafts in Central Europe, which extend up to 1.5 km underground. 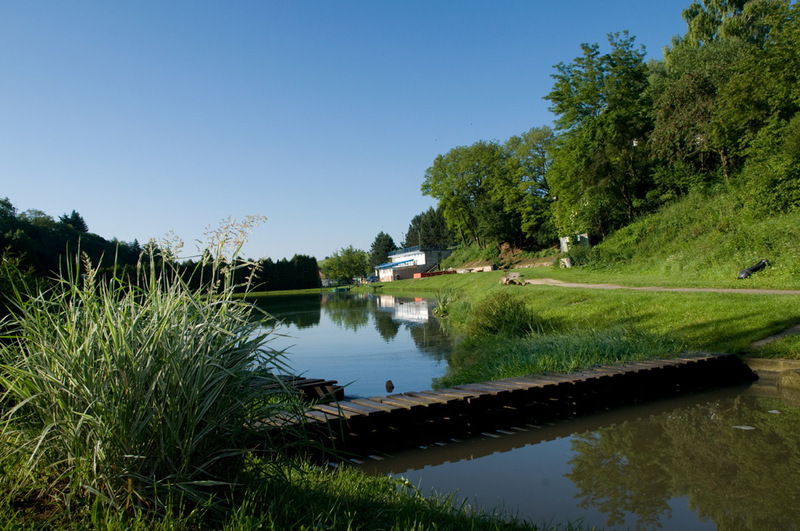 If you are the adventurous type, you can explore various hidden nooks and crannies of the mine district on your own or on a recommended route around Zbýšov. 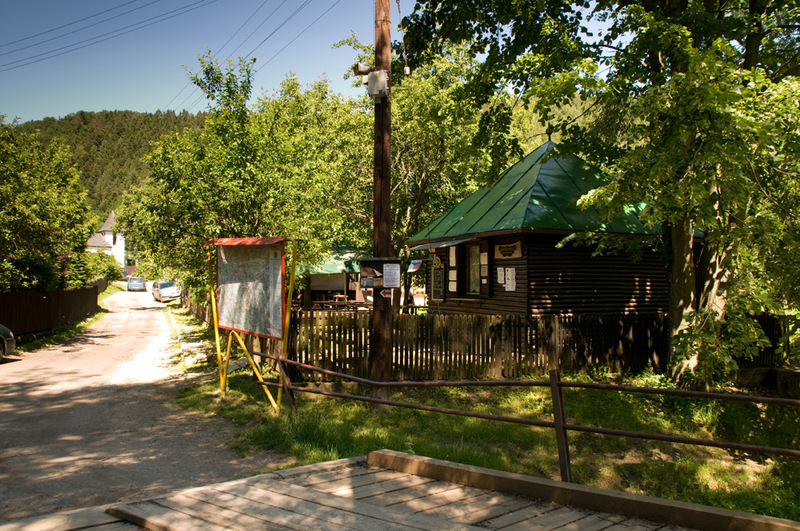 Coal mining began in Oslavany before the year 1755. Mining began in the northern part of the mining district a few years later, but the real mining boom in the Rosice-Oslavany region occurred in the 19th century. Coal was mined here until the year 1991. 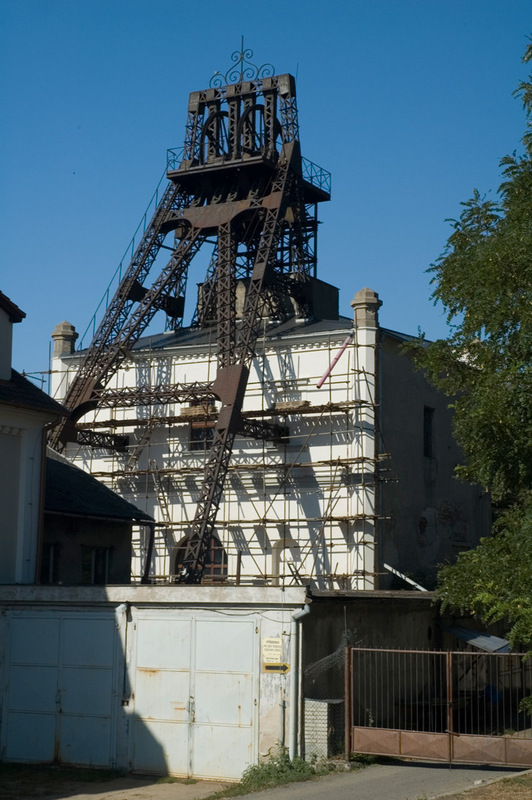 You can learn more about the history of mining at the Museum of Mining and Power Engineering at the chateau in Oslavany. A micro-region emerged on the territory of the former black coal mining district, which was given the name of a mining lamp – Kahan. The towns and municipalities of Babice u Rosic, Kratochvilka, Lukovany, Ostrovačice, Příbram, Rosice, Říčany, Újezd u Rosic, Vysoké Popovice, Zakřany, Zastávka and Zbýšov belong to the micro-region of Kahan. These municipalities have prepared this guide for you providing information about mining and other monuments of the micro-region of Kahan as well as the South West Brno region. The local gnomes will guide you and look after you on your travels through our land. Welcome one and all.